Homeopathic Medicine originated just over 200 years ago. Dr. Samuel Hahnemann, a German Physician, refused to practice the medicine of his time; namely, bloodletting and mercury (or arsenic) poisoning. At that time in Europe, malaria was a major killer. The Doctors were using the bark of the Cinchona Tree to treat malaria, which has a series of recurring symptoms; namely, first you get a chill, then a fever, then you break into a sweat, then you are exhausted, then you get a chill, then a fever, break out into a sweat, etc. These four symptoms happen again and again. Dr. Hahnemann asked over and over again, WHY did this medicine seem to help the symptoms of this disease? No one could answer him, so being the SCIENTIST that he was, he decided to take a dose of the medicine to see what would happen. And shortly after taking the medicine in “overdose” (i.e., more than would be recommended for general treatment), he got a chill, then a fever, then broke out into a sweat, then was exhausted. THUS, we have the very FIRST PROVING in Homeopathy. The definition of proving: The procedure of giving doses of a substance to healthy subjects in order to find what it causes in overdose and thus what it has the capacity to cure when given to ill people in potentized dose. (Potentized means made into a Homeopathic Remedy … see below). Similia Similubus Curantur. The first principle of Homeopathy is “Like cures Like” as outlined in the first proving. The cure of the sick is most easily, mildly and permanently affected by medicines that are themselves capable of producing in a healthy person, morbid symptoms similar to those of the sick. If you bypass the law, there is no response – the law demands that you have a high degree of similarity. The fundamental intrinsic cause of real disease is the untunement of the Vital Force. Vital Force is the source of life, that which differentiates a corpse from a living being. Real Chronic Disease is related to influences that we do not have direct control over regardless of lifestyle. Once we have the condition, changing lifestyle will only have minimal effect, and the disease will progress. The change and morbid conditions and function of tissues and organs in real disease are the result of a dynamic disturbance and not the cause of disease. Symptoms associated with a particular disease are actually an attempt by the body to return to a state of health, not the cause of the disease. When the body experiences too much stress, the “dis-ease” may manifest emotionally, mentally or physically. The “stress” that caused the problem to arise, actually disturbed the normal balance which we call “good health”. Harmony on all levels (i.e., mental, emotional, physical and spiritual) will confer good health. The totality of the symptoms, subjective and objective, as well as the etiological factors and characteristic aspects of the person are the sole indication for the choice of the remedy. All symptoms are important; what the patient reports, what the practitioner sees, what happened to “push” the person into pathology, and how the person presents as an individual guides the practitioner to the correct remedy. By constant individualization, we treat the person, not the disease. We use the symptoms of the person (objective and subjective) as a language in order to find the remedy. There is no one remedy for cancer because every person is a unique individual. In the 1800s, the Homeopathic Physicians were curing cancer successfully, one patient at a time. The Surgeons at that time rarely did surgery because Homeopathy worked so well. In order to secure the best practical results, medicines must be administered singly. Introducing more than one influence means that you do not know what is happening with the patient, nor how they interact. Give the best indicated remedy first, wait, observe and confirm. The only remedy meriting preference is always the one that is most similar to the totality of the characteristic symptoms of the disease being treated. This particular remedy is called the Similimum (aka, the correct remedy). The single remedy will be prescribed for its dynamic property in an optimal posology. Dynamic property refers to the healing capacity (i.e., the proving and posology means strength). To ascertain the sick-making properties of medicines, they must first be proven in the healthy, and secondly, confirmed through curing the sick. (Proving again). Like prevents Like, the same way that Like cures Like. Finding the “genius” of an epidemic and giving the correct remedy to those affected and curing their disease, can then be given to those that may become affected in the future in order to prevent the disease. Statistics of the Spanish Flu Epidemic of 1918/19 who that those treated allopathically had a 25% mortality rate. Those treated with Homeopathy had a 5% mortality rate. First, imagine 6 test tubes, each of which is filled with 99 drops of water. Now, imagine a botanical remedy in tincture form (e.g., Chamomilla). A botanical tincture is made by taking Chamomilla flowers, crushing them, putting them in an alcohol-based solution, letting the flowers sit in the alcohol in a dark room, and periodically shaking them, and then straining off the flowers after a few weeks. The active medicine ingredient is now in the alcohol (and this is called a tincture). We now take 1 drop of the botanical tincture of Chamomilla and put it in test tube #1 and shake it a number of times. 99 drops + 1 drop = 100. The symbol for 100 is “C”. This is the method that Hahnemann used to make Homeopathic Remedies. So, after putting 1 drop of the tincture into test tube #1 and SHAKING IT, we now have a “1CH” potency (potency meaning strength) of the Homeopathic Remedy Chamomilla. ( CH standing for Centessimal Hahnemann). THEN, we take 1 drop of Chamomilla 1CH and put it into 99 drops of water (test tube #2), SHAKE IT, and we have a “2CH” potency of the Homeopathic Remedy Chamomilla. Then one drop from test tube #2 into test tube #3, SHAKE, and VOILA, we have made 3CH potency of the Homeopathic Remedy Chamomilla, etc. After 12 dilutions, we have passed Avagadro’s number and there is no longer “anything discernible” in the 12th test tube. It is at this point that Allopathic Medical Doctors claim that Homeopathy is nothing more than a placebo. BUT, if we know how a remedy is made, we KNOW that a microscopic amount of Chamomilla went into each and every test tube. Think of Chamomila as a botanical remedy (or a lovely tea before bed). It calms the mind, soothes an upset stomach, and predisposes one for restful sleep. The PROVING of Chamomilla is quite another picture. We often use it for children who are in pain (be it from teething or ear infections). The quality of the pain associated with the proving is extreme, and the child wakes in the middle of the night screaming, is inconsolable and will only quiet when the parent picks up the child, and walks (and walks and walks). Although we do NOT know the mechanism by which a Homeopathic Medicine works, there are numerous drugs where the mechanism is also unknown, and only by doing a series of CLINICAL TRIALS do we come to understand both the positive and negative symptoms and side-effects associated with such allopathic drugs. HOMEOPATHIC MEDICINE IS SAFE, relatively inexpensive and there are minimal to no side-effects. All the remedies have been proven on HUMANS, and confirmed through many years of Clinical experience. And FINALLY, I have my own story to tell. In December, 1992, just after I graduated from Naturopathic School, my Optometrist discovered that I had the first stage of Macular Degeneration. I had the pathology associated with the disease (i.e., drusen bodies which manifest as a discharge at the bad of the eye). I went for a second opinion, and this was confirmed by Ophthalmologist, Dr. Hans Hausler. Yes, I had the first stages of Macular Degeneration, and I also had 20/20 vision at that time. Macular Degeneration runs in my family. I had an Uncle and Aunt diagnosed with the disease, both became legally blind from the disease and I have a nephew who has Retinitis Pigmentosa, who is also legally blind. Being the Naturopath that I was, and after being told that there was NO CURE, and that the best that I could hope for was that the disease would not progress, I decided to go to my teacher for monthly constitutional homeopathic prescribing in May, 1993. My Optometrist wanted to see me every six months to follow the progression of the disease. I went back to him in September, 1993, and my condition was stable (i.e., had not progressed). The following March, 1994, I went to another Ophthalmologist who had originally been recommended by my Optometrist. He didn’t see Macular Degeneration, he saw blepharitis, and I dismissed him because this disease had already been diagnosed twice. I continued to receive Homeopathic care. The following September (1994), I went back to my Optometrist and he looked in my eyes and said, “It’s gone. Whatever you’ve been doing, just keep doing it”. This is a disease for which there is no cure and no treatment which will do more than stabilize the condition. When discussing this with my teacher, Dr. Andre Saine, he stated that the Homeopathic Physicians of the 1800s regularly cured Macular Degeneration. And so I have come to know on a personal level, that if you catch something in the first stage (inflammatory stage), most diseases that are “untreatable’ can be cured. The definition of CURE is important. It is not simply removing (either through drug or surgical intervention) the symptom. CURE means the recovery of health with a normalization in the abnormal level of SUSCEPTIBILITY whether it is acquired or inherited. When susceptibility is normalized, recovery is quick and the imbalance is corrected. Removing susceptibility to a disease means NEVER having it again. Cure is more than just symptom removal. Cure is permanent. This is not the first time that Homeopathy has been threatened (by people who are threatened by its success and potential for healing). The Flexnor Report in the early 1900s stated that the future of medicine lay in biomedical researched based on the Germ Theory as proposed by Louis Pasteur; i.e., kill the bug, eradicate the disease. If this theory is correct, and an infected person walks through a room of 100 people and gives each one equal exposure to the virus, then all 100 people should get the disease. But as we know, maybe 5% to 10% will become ill and the rest will not. So in actuality, it is the “terrain” or to put it in more modern terms, the strength of the immune system and the overall health of the individual (mental, emotional, physical and spiritual) which allows a pathogen to enter and causes a “dis-ease”. So much for the Germ Theory. And I do believe that Louis Pasteur recanted on his deathbed and said it was in fact the terrain that was the most important factor with respect to the maintenance of good health. Again, terrain being the inner state of health of the individual. And finally, although I work every day and have for the past 19 years utilizing Classical Homeopathy, I apply the Principles of Naturopathic Medicine with each and every patient that I see. These are the principles that rule my practice, and these are the principles that every medical professional should follow in my personal opinion. Prevention – THE MOST IMPORTANT PRINCIPLE IS PREVENTION, always has been, always will be. And so I say to you from my experience, both as a practitioner and as a patient, that there are many individual cures for incurable diseases. 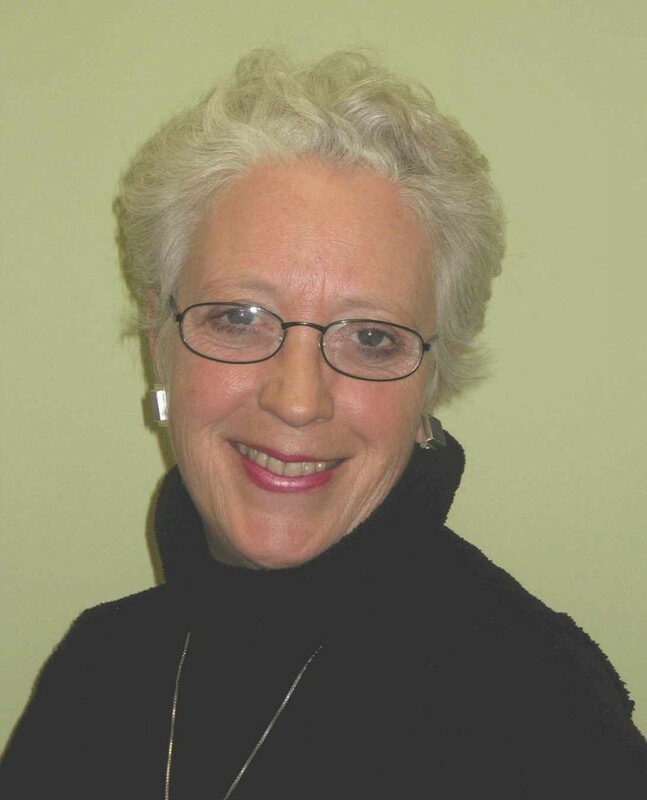 My name is Helena Ovens and I am a registered Doctor of Naturopathy (since 1992) in the Province of Ontario, and a Homeopathic Specialist (graduate of the Canadian Academy of Homeopathy, 1995). I received the award for Excellence in Clinical Nutrition upon my graduation from the College. I first entered the Alternative Field in 1975 when I went to work (for 2-1/2 years) with severely emotionally disturbed children in a residential setting. Since 1978, I have personally explored numerous alternative methods of healing. I became a Shiatsu Therapist, Reflexologist and Iridologist. I also studied Clinical Nutrition, numerous detoxification protocols, Western Botanical Medicine, Trager, Esalen Massage, Bach Flower Remedies and finally, Homeopathy, which eventually became my specialty. I am also a Certified Bowen Health Therapist. I have been teaching Homeopathic First Aid & Acute Prescribing for over 15 years… It’s a 30 hour course designed to educate alternative practitioners and the general public on what Homeopathy can do. My students, who previously have had very little or no knowledge of Homeopathy, are better educated than the “so-called” experts who are currently trying desperately to discredit Homeopathy by attempting to take an overdose of the medicine as they sit patiently waiting outside the Emergency Ward at their local Hospital. “It does nothing”, they exclaim. My response? Taking 1 pill or 100 pills at one time is only taking 1 dose of the medicine. Taking 1 pill at 100 different times is taking 100 doses. Amazingly well written, if I must say so myself. Hi jw, Unfortunately Dr. Helena Ovens, ND passed away earlier this year. There is no one homeopathic remedy for any health concern. For homeopathic treatment I recommend you seek out care from a homeopath in your area. Good luck! SO dear friend what are the homeopathic remedies for Macular Degeneration?? You mean that Dr. Ovens left no suggestions about how to work with this staggering issue. There are no homeopaths in my little berg in Alaska.–Please offer some information on the right homeopathic remedies to begin with! Hi Kate, homeopathy is an individualized treatment modality, so there is no particular remedy for any particular condition. Remedy choice depends on taking the entire case of an individual and choosing a remedy appropriate for that case.